Robert Herrick. Love Dislikes Nothing. 'Tis a mistress unto me. Still I write a sweetheart down. I'm a man for ev'ry scene. Frans Hals. 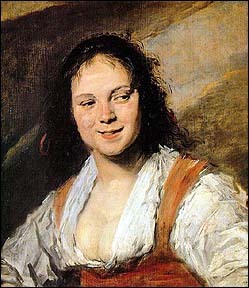 The Gypsy Girl, 1628-30. London, Lawrence & Bullen, 1891. 65.